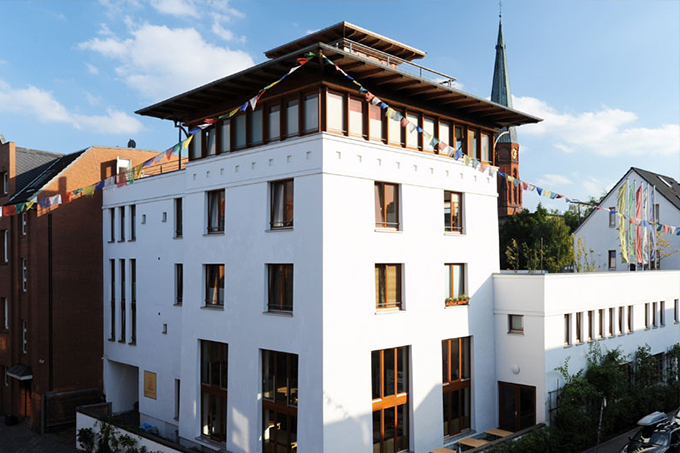 The Buddhist Center Hamburg hosted the annual general meeting of the European Buddhist Union (EBU) from September 25 to 28, 2014 with about 50 delegates from 16 European countries. 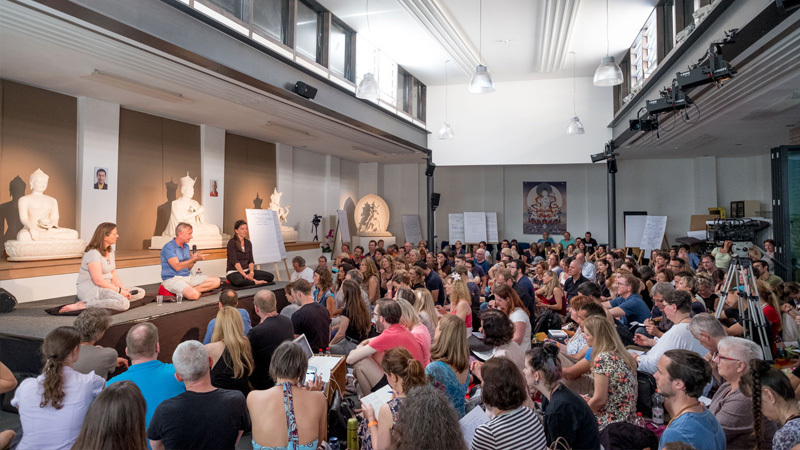 The EBU is the network of Buddhist communities in Europe. 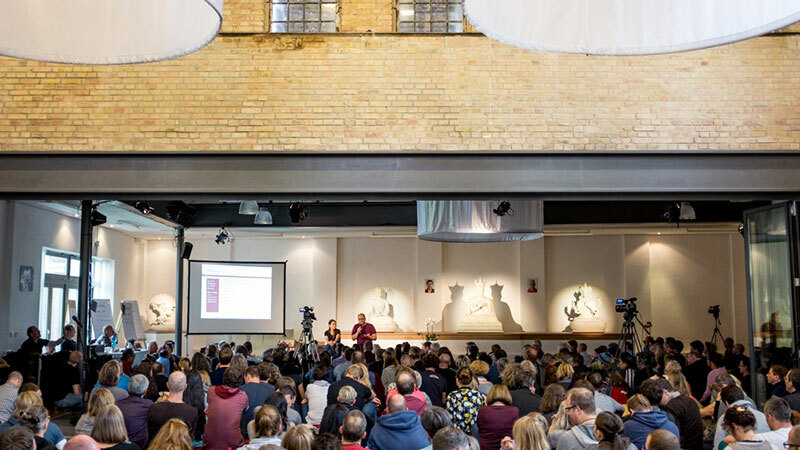 Founded in 1975 as an umbrella organization for national Buddhist associations, it is today the biggest network of Buddhist traditions in Europe. On the agenda of this year’s general meeting, among other issues, ranked the EBU’s activities at the Council of Europe. The Council of Europe, together with the United Nations Organization, is leading in the development of multilateral instruments for the protection of human rights. Through the EBU’s official participatory status with the Council of Europe, Buddhists are currently the only religious community to be represented at the Conference of International Non-governmental Organizations. 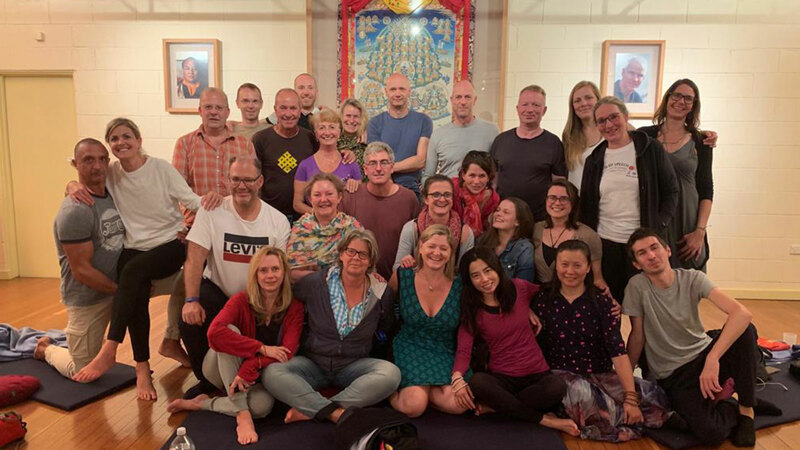 Diamond Way Buddhist Centers are represented at the EBU through national umbrella organizations as well as the German Diamond Way Buddhist Umbrella Organization. Diamond Way Buddhists support EBU’s activities on a honorary basis.